You are going to Watch Teen Titans Go! Episode 7 online free episodes with HQ / high quality. Stream cartoons Teen Titans Go! 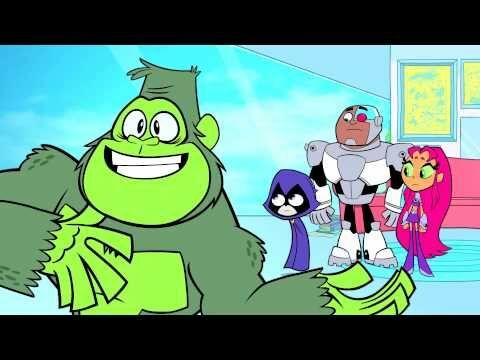 Episode 7 Online Gorilla: Beast Boy turns into a loud, obnoxious gorilla and refuses to change back, driving Robin crazy. Gorilla Beast Boy takes over the leadership of the Titans leading to chaos. Cyborg teaches Robin how to be an alpha male so he can take back his role as leader of the Teen Titans.